Place to know about all IT System, Hard Disk External HDD information, Computer hardware parts Technical Specifications guide and buying tips. 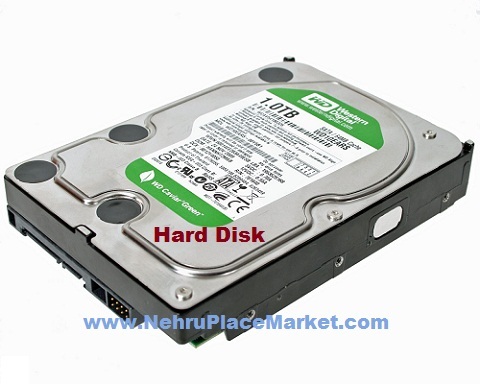 The Hard Disk is an important component of a computer, laptop or server. It is used for storing data which can be retrieved whenever required with the help of operating system or some application. The hard disk media is prepared to store & retrieving data (writing & reading) by formatting it with different file system like FAT (File Allocation Table), FAT32, NTFS, Ext, Ext1, Ext2, Ext3 etc. There are many types of Hard disks like IDE / ATA, SCSI, SATA, SAS depending upon their technical architecture. The IDE / ATA (Advanced Technology Attachment) is hardly used these days in new hard disks as it is successfully succeeded by SATA & SATA-II (Serial ATA or Serial Advanced Technology Attachment) and is mainly used in desktop computers, workstation and laptops. The other one SCSI (Small Computer System Interface), which was mainly used in servers & storage system, is also obsolete now a days and has been replaced with SAS (Serial Attached SCSI). SAS hard disks are idle for high speed, reliability and scalability which is required in the enterprise environments with high availability of resourced. The IDE/ ATA and SCSI were sort of parallel interfaces and the newer ones SATA and SAS are using serial interfaces. Hard disks are also categorized as External and Internal. As clear from the name external hard disks are those which are used externally i.e. not fixed inside the computer or laptop whereas the internal hard disks are those which are fixed inside the computer case and laptops. Internal hard disks can not be connected to or used with different PCs or laptops so easily without the help of a technician. But external hard disks can easily be used in different PCs and laptops simply attaching & detaching a USB cable or other interface cable. These days wire free or wireless hard disks are also available in the market where no cable is required to connect it to PC or laptop. 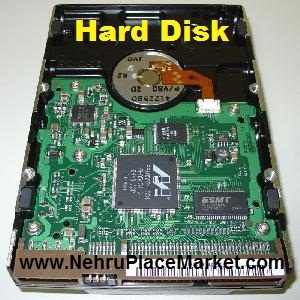 It is necessary for a buyer to know the main points to keep in mind while buying a hard disk. This Hard Disk Buyer's Guide will definitely help one for buying HDD. First of all the hard disk capacity is to be finalized before buying it. After freezing the capacity, then comes the type. If it is a replacement of the old or faulty hard disk then it is quite obvious that one need to buy the same type of hard disk. But most of the times the new hard disk of that type is not available due to old age. In such cases either one need to buy second hand hard disk or an alternate type which the motherboard supports. For example if the motherboard of your PC is having both IDE and SATA interface for Hard disk, then you can buy SATA hard disk in place of your old faulty IDE hard disk. The finally the brand is selected, these days Seagate, WD, Hitachi, Toshiba, Samsung & Sony are the main brand in Nehru Place Market. Almost all brands are good as far as quality is concerned but one can go with the brand which provides more warranty within the same price range. Happy Buying....! !..